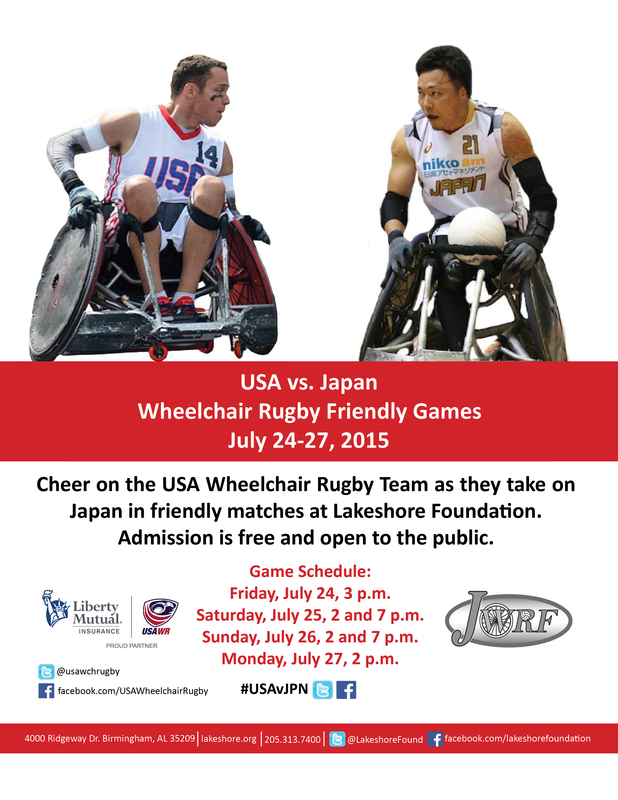 In just two short weeks, USAWR will have their last training camp prior to departing for the 2015 Parapan American Games in Toronto. In addition to training during the camp, they will also be hosting Team Japan for a six game series to prepare for the upcoming games. 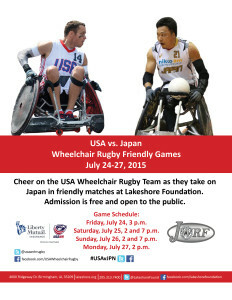 Team Japan has never been to Lakeshore Foundation prior and we look forward to having them here. Games begin Friday, July 24th at 3pm and continue through the weekend ending Monday, July 27th at 2pm. The full game schedule can be found below, are free and open to the public and we welcome all Birmingham residents to come out and show their support for the team.